Known as 'Darwin's Bulldog', the biologist Thomas Henry Huxley (1825-95) was a tireless supporter of the evolutionary theories of his friend Charles Darwin. Huxley also made his own significant scientific contributions, and he was influential in the development of science education despite having had only two years of formal schooling. He established his scientific reputation through experiments on aquatic life carried out during a voyage to Australia while working as an assistant surgeon in the Royal Navy; ultimately he became President of the Royal Society (1883-5). Throughout his life Huxley struggled with issues of faith, and he coined the term 'agnostic' to describe his beliefs. 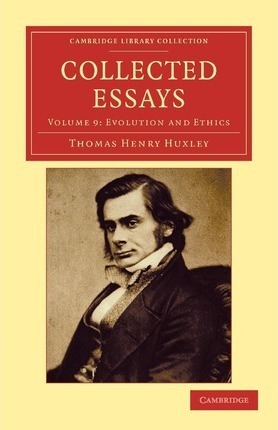 This nine-volume collection of Huxley's essays, which he edited and published in 1893-4, demonstrates the wide range of his intellectual interests. Volume 9 includes lectures delivered at Oxford University on the relationship between scientific thought and ethical problems. Preface; 1. Evolution and ethics. Prolegomena ; 2. Evolution and ethics ; 3. Science and morals ; 4. Capital - the mother of labour ; 5. Social diseases and worse remedies .